Welcome! At Radina’s Bakehouse, we are committed to supporting local, regional, and independently owned businesses. Quality and locality are the foundation of our supply decisions. All of the baked goods at Radina’s Bakehouse are artisanal. An Artisan is someone who uses traditional methods and produces in small quantities. Many of our bakers are classically trained at some of America’s finest baking schools. At Radina’s Bakehouse everything is made from scratch. Scratch means that every ingredient is in its most basic form and that nothing is from a mix. We use fresh and real ingredients—we wouldn’t think of adding preservatives, or using hydrogenated oils or bromated flours. Radina’s Bakehouse uses real ingredients because they taste better. 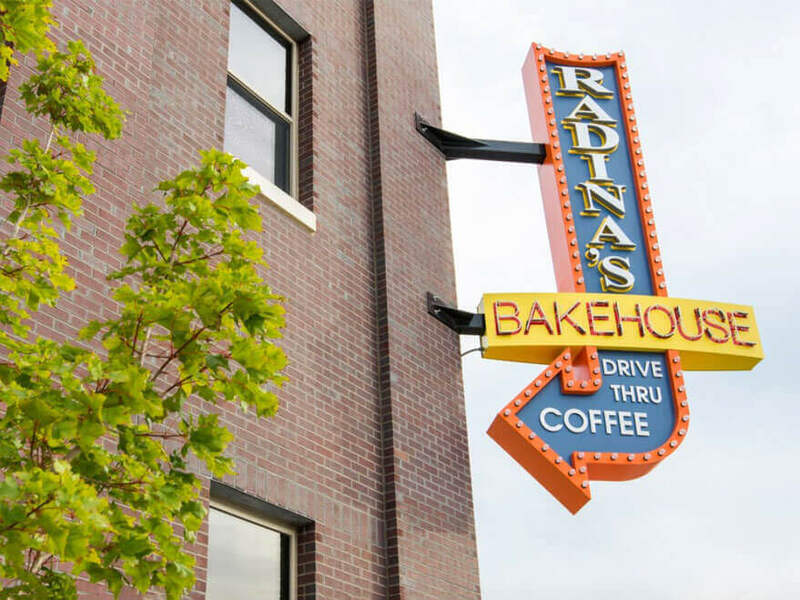 Most of the flour and grains used in Radina’s Bakehouse breads are grown and milled in Kansas. The only oils you’ll find in our food are vegetable oils like olive and corn, and real butter. Lots of butter.